Please study the guidelines for the category or categories you are entering. The Melbourne Press Club Quill Awards, sponsored by Monash University and Virgin Australia, are for material published or broadcast from 1 January 2018 to 31 December 2018. Please read our Conditions of Entry & Judging Criteria before entering. Note: There is an administration charge of $105 for each Quills entry. Melbourne Press Club members are entitled to one free entry. Members and non-members must pay the $105 charge for each additional entry they submit. For group entries, the free entry is only applicable if all individuals involved are MPC members. If you would like to sign up for membership now ($85 for journalists), please click here before proceeding with the application. 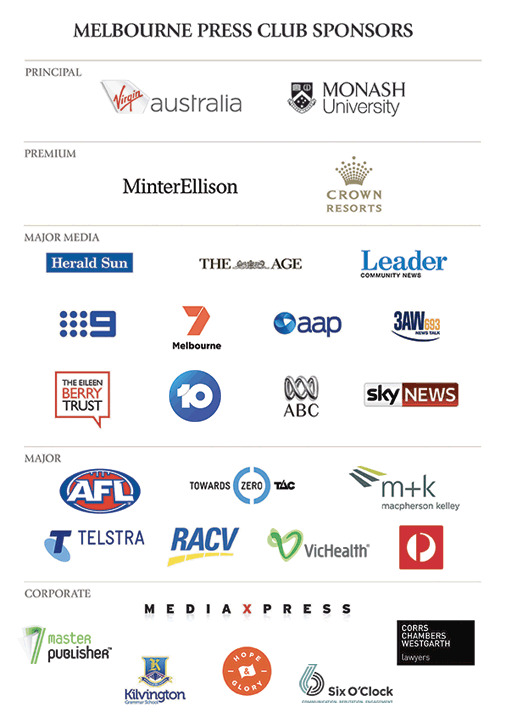 If you are unsure whether your membership is current, please contact us at entries@melbournepressclub.com or on (03) 9614 2779 during office hours. You will be prompted to make payment at the end of the entry process. If you experience any problems with the online entry system, please email us or call (03) 9614 2779.